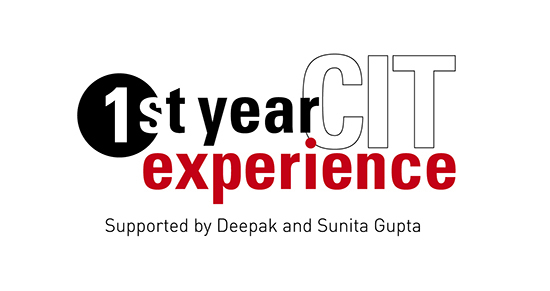 The First-Year Experience (FYE) has the intended purpose of providing first-year students with specific resources, support, and programming to allow for a successful transition and acclimation into the Carnegie Mellon and the College of Engineering communities. The FYE offers opportunities for you to explore and learn more about the different engineering majors in the college. The summer before first-year students start at Carnegie Mellon, the College of Engineering Dean's Office provides comprehensive advising using technologies such as Facebook, Skype, IM, podcasts, chatrooms and email. From understanding course schedules to determining what computer to buy, this early engagement helps new students acclimate better in the transition to college life. The First-Year Advisory Board (FAB) is the voice of first-year students enrolled in the College of Engineering. The 12 elected board members act as a liaison between the first-year class and administration, staff, and faculty. At orientation, information sessions are offered to allow you a chance to meet faculty and upper-class students from each of the seven engineering departments. You will be taking two introductory engineering electives of your choice in your first year. While these courses will develop your analytical skills, they will also introduce you to engineering principles and a specific field of engineering. Each year, the first-year class organizes one or two service-learning projects. The class works together to lend a helping hand to the community. A series of workshop that are specifically designed to assist first-year students in achieving academic, personal, and professional growth. Each year the series is changed to accommodate students' needs and assessed outcomes. This event allows first-year students to ask individual questions to major-specific engineering faculty and upper-class students in a casual environment. This event should help you declare your engineering major. A social event planned by the First-Year Advisory Board (FAB) to celebrate students officially declaring their major. Past events included: the Gateway Clipper Boat Cruise, Zone28, and the Carnegie Science Center complete facility rental. A social event that takes place the week of orientation in August to celebrate the incoming College of Engineering class. Students head off campus to Funfest Entertainment Complex for an evening of bowling, video games, pool, bowling, and a chance to socialize with classmates. For more information about the First Year Experience, contact Treci Bonime at 412.268.2334 or tbonime@cmu.edu.